Anna Wintour just got a new job. The longtime editor is not leaving Vogue, but she is taking on the additional responsibilities (and salary) of a position created just for her: creative director of Condé Nast, which publishes titles from Vogue to Architectural Digest. Wintour says she wants to help those magazines become "brands," like Vogue. This news would seem to put paid to the speculation that Wintour was being considered for an ambassadorial appointment to either the U.K. or France. Anna Wintour Rumored to Be Obama&apos;s Pick for Ambassador to the U.K. In her new role, Ms. Wintour is assuming some of the responsibilities once held by S. I. Newhouse Jr., who has controlled the editorial management of Condé Nast as chairman for more than three decades. Beginning last fall, Mr. Newhouse, 85, quietly yielded his day-to-day involvement in the magazines and transitioned from the executive suite on the 11th floor of Condé Nast's headquarters in Times Square to an office on the sixth floor, where members of the Newhouse family manage the parent company, Advance Publications. "Si Newhouse leaves a void, inevitably," Charles H. Townsend, the chief executive of Condé Nast, said in a joint interview with Ms. Wintour on Tuesday. "Anna, without even having to think twice about it, is the most qualified person to pick up that torch and carry it into the future." This doesn't seem like a move that will change much for the casual Vogue reader. For big advertisers interested in new partnerships with Condé magazines — ahem, "brands" — having Wintour in a leadership role may be an enticement. But Vogue's total creative homeostasis will likely continue. Condé Nast also announced two big new branding projects today. These perhaps offer a hint at the direction that Wintour intends to pursue as the company's creative director. First, Condé says is developing Web video channels for two of its most money-making titles, Glamour and GQ. These channels will be available on YouTube and on the magazines' respective sites. Publishing competitor Hearst launched video channels for a number of magazines, including Harper's Bazaar and Marie Claire, last year. And Teen Vogue is launching a line of branded apparel at Macy's. 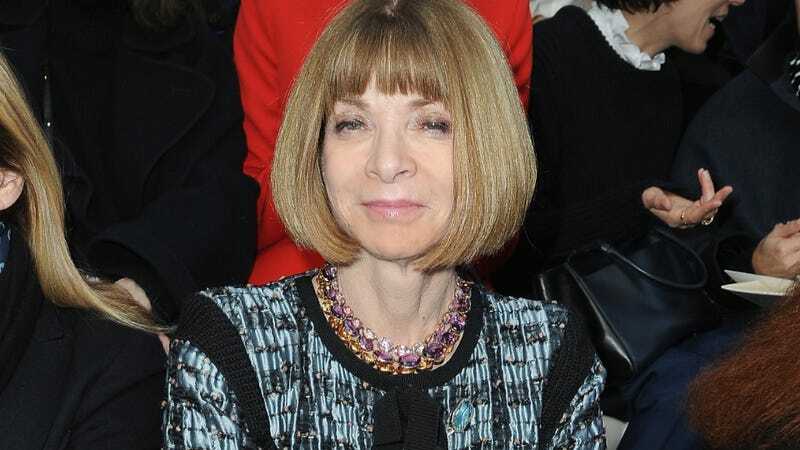 Wintour is (and will remain) the editorial director of Teen Vogue. Townsend also told the Times that Wintour, who will mark the 25th anniversary of her tenure at Vogue this summer, is "in the prime of her career." Translation: don't expect her to go anywhere soon.